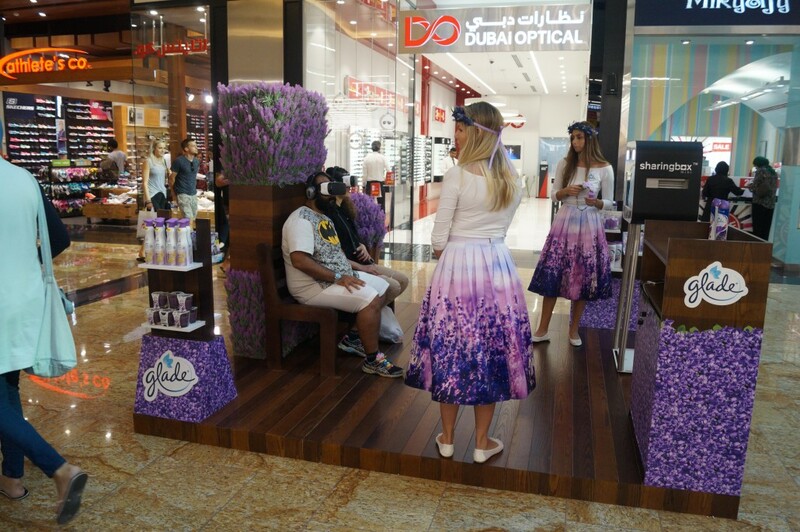 With our partner, The Media Interactive Agency (MIA), we’ve developed an exciting in-mall activation for their client, Glade, the air-freshener brand of S.C. Johnson. 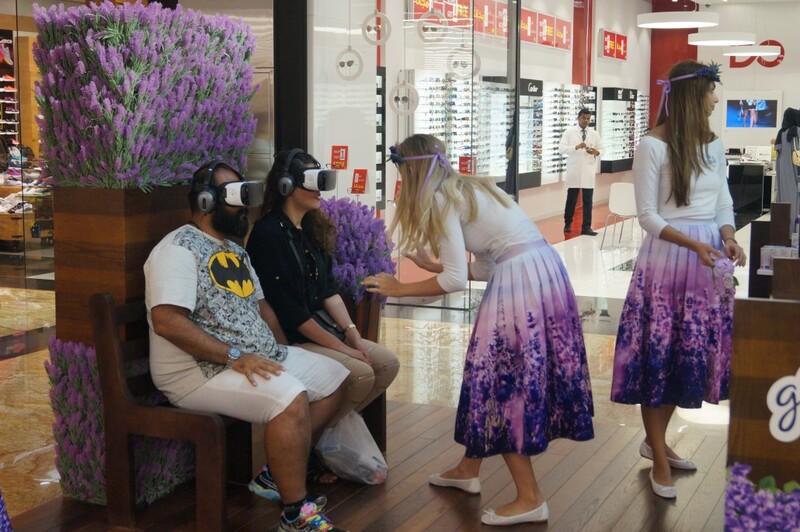 ARworks was tasked with creating a Virtual Reality journey that would be showcased at Mall of the Emirates in Dubai during the first week of September 2016. 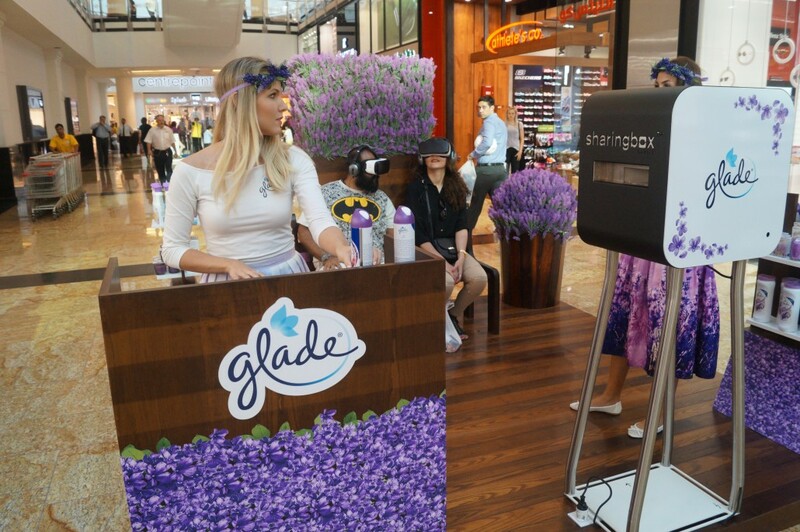 The application consisted of a series of 360 degree photos and videos, which allowed the guests to take a journey into the world of Glade. After the intro screen of falling lavender petals they were taken into a beautiful room. Looking around in 360, they could find the Glade can, and just by focusing on it, the could make it spray out its content. 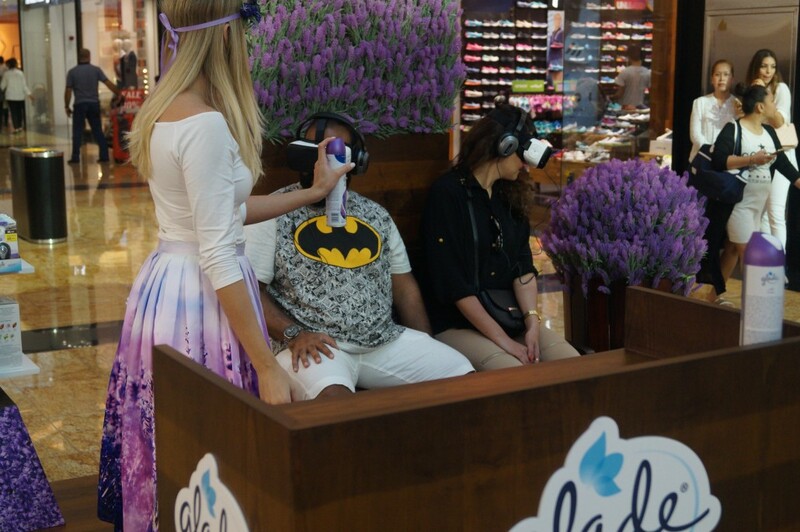 As a result, they were teleported to a wonderful lavender field surrounded by mountains and a majestic waterfall.